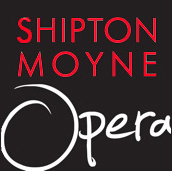 Shipton Moyne Opera runs for two days around the beginning of June promoting an annual production by A La Carte Opera, Director Nicholas Heath. The performance takes place at Street Farm, Shipton Moyne courtesy of James and Beth Birdwood. We are committed to maintain the high standard achieved by the production of The Marriage of Figaro in 2015, La Bohème in 2016, Rigoletto in 2017 and The Barber of Seville in 2018. Our aim is to ensure that those who come to our opera have a thoroughly enjoyable evening. We will support a local charity each year. 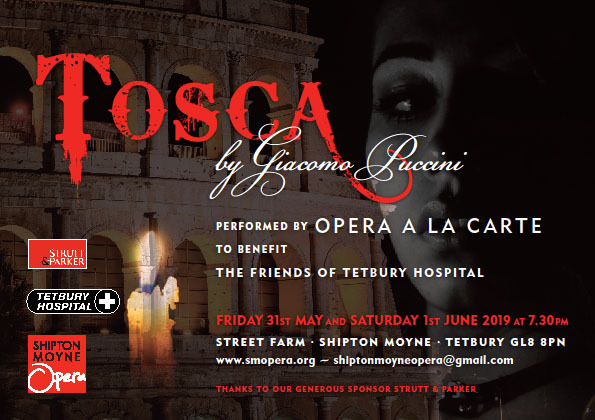 will be performed by Opera A La Carte on Friday 31st May and Saturday 1st June 2019 directed by Nicholas Heath. Please click for details of the Charity. We are very grateful to them for their support.